Yin Yoga instructor Machelle Lee and Acupuncturist Samantha Francis (Five Dances Wellness) blend their experience to offer a Spring workshop exploring the element of Wood from the Five-Element tradition of Chinese Medicine as a way of preparing oneself for the shift out of Winter and into the Spring season. 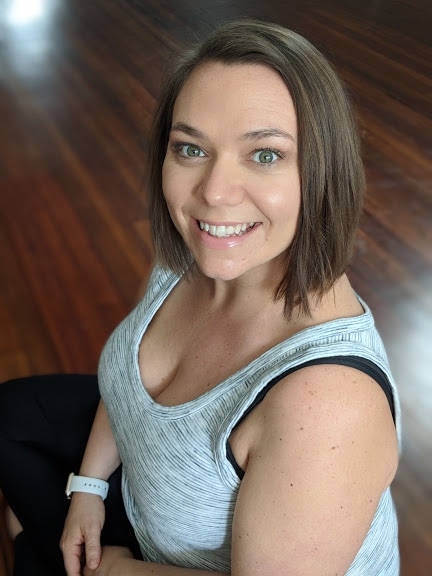 Machelle will lead participants through a full Yin Yoga session stimulating the acupressure lines within connective tissues that support the liver/gall bladder organs and meridian channels. Following the practice, Samantha will provide a meditative acupuncture session in the ear points to assist in balancing the subtle current within. Weaved throughout the experience, Machelle and Samantha will discuss the physical functions of these organs as well as present the holistic gifts that are associated with the psycho-spiritual energy of the Wood element. No prior experience with yoga is necessary to benefit from this workshop. Rejuvenate your mind, body, and spirit with Restorative Yoga and Reiki. Supported by blankets, pillows and bolsters in deeply relaxing poses, Carrie will guide you into rest while offering the gentle healing energy of Reiki through light physical contact. Reiki energy promotes healing by activating the relaxation response (parasympathetic nervous system), assisting the body to re-harmonize itself and promoting a more natural balance. Benefits of these practices include decreased stress and anxiety as well as an increased sense of clarity and ease that can both lift the mood and set the foundation for more restful sleep. No yoga experience is required and all levels are welcome to attend. Because the practice draws the body mind into a restful state, you may cool down, so bring clothes that can keep you warm and cozy. Though blankets will be used for restorative propping and for covering, you may wish to bring your own blanket from home as well. Pre-registration is required and space is limited to 9 participants. Carrie’s love of yoga fostered from a need for balance in her life after struggling with anxiety from a high-pressure corporate job. With a strong desire to support others in finding peace in this crazy world, she earned her 200-hour RYT training at Ananda Shala in Frederick, MD. After discovering the importance of rest to complement a busy life and active yoga practice, she was called to incorporate restorative yoga in her practice and teaching. She studied Restorative Yoga under Tara Lemerise ('Rest for All' Teacher Training). Carrie also has been studying, using, and selling doTERRA essential oils since 2016. She is certified as a Level 2 Reiki Healer, and currently studying to be a Reiki Master. Carrie's goal is to assist others to learn about different tools to support healing and stress management and build integrated community. The Feldenkrais Method uses comfortable, easy movements as a means to re-engage the nervous system in the kind of learning we all do as infants, but later usually abandon. The workshop is open to all participants’ level of ability and focuses on improving our quality and ease of movement through awareness. Participants usually leave the workshop feeling energized, more flexible, and more aware with a brain re-awakened to possibilities. The goal of each lesson is to “make the impossible, possible; the possible, easy; and the easy, elegant”. 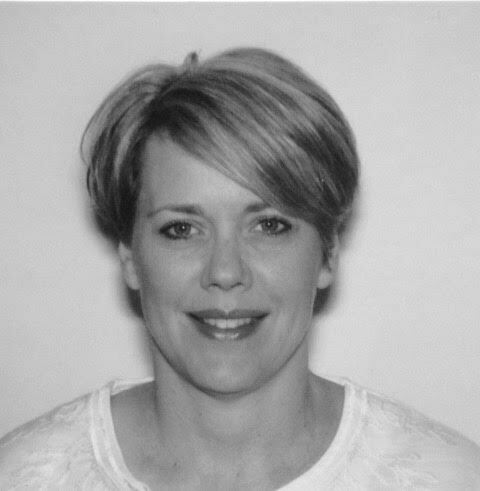 Catherine Wycoff, PT, DPT, GCFP, PHCS, CERP has been a physical therapist for 28 years with an undergraduate degree in Physical Therapy from Belgium and a doctorate degree from Des Moines University. She was introduced to the Feldenkrais Method in the early nineties and was amazed by how such gentle Awareness Through Movement® sessions can rewire our brain to improve the way we move and live our lives. 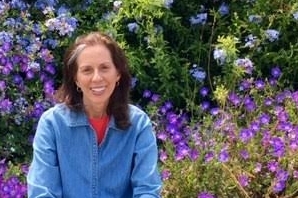 She decided to take the four-year Feldenkrais professional training in 1997 and loves to watch her students learn to improve their flexibility, balance, posture, and rediscover how to move with ease and joy at any age. Catherine is also trained in Myofascial Release (MFR) and incorporates both her Feldenkrais and MFR training in her practice. She has volunteered and set up private practices in Belgium, Laos, Taiwan, China, Burma, Australia, and Austria in addition to the US. She recently moved her family and her practice to Lovettsville, Virginia. Your feet are your foundation. They are the steering wheels of your knees and hips. What happens in your feet affects your entire body. And yet, if you are like most people, your feet are one of the most neglected parts of your body. In this workshop, we will review basic anatomy of the foot, lower leg, and knee. You will use a variety of balls, massage peanuts, and other yoga props to release the myofascia in the feet and legs. In addition, you will practice movement exercises that will re-educate your body to help prevent injury and explore yoga poses that help align and stabilize the feet and knees. If you have plantar fasciitis, bunions, hammer toes, ankle pain, shin splints or knee pain, this workshop will provide some tools to begin the healing for happier, healthier feet and knees. All levels welcome. No previous yoga experience required. Tricia is a graduate of Willow Street and Body Balance Yoga teacher training programs (E-RYT 200, RYT 500) and is a certified Yoga Therapist (C-IAYT). Tricia's classes focus on dissolving tension in the body, creating optimal alignment, and connecting with the breath. She clearly articulates alignment instructions based on her knowledge of anatomy and exploration in her own practice. Tricia is so grateful to be able to share the many benefits of yoga with her students. Yin Yoga utilizes poses practiced on the floor and held gently for 3-5 minutes each in order to modestly, within limits, stimulate ligaments and fascia through traction and compression of joint tissue to encourage tissue regeneration. Restorative Yoga is more “yin," than Yin Yoga - meaning it is even more subtle and still. While Yin Yoga’s intention is to “exercise” structural tissue within the soft skeleton of fascia and at joint intersections, Restorative Yoga’s focus is to reduce and eliminate stress on the structural body, and actually support it in rest, in order to induce a deep relaxation response for the nervous system. In the first segment of this workshop, Machelle will guide participants through a 90 minute Yin Yoga practice designed for the support of the joints, ligaments, and fascia of the low back, spine, hips, sacrum, knees, and ankles. This meditative practice will prepare one to sink deeper into the deep rest of Restorative Yoga. After a break, students will return to a unique circuit of stations prepared by Tara with all of the necessary blankets, bolsters, and blocks skillfully arranged for relaxation. Instead of asking the body and mind to do more, this practice will soothe the nervous system, quiet the mind, and help release deeply held tension in a completely passive way. Follow these links to learn more about Tara Lemerise and Machelle Lee. Fascia is connective tissue that supports the structure of your body. When it's healthy, fascia allows your muscles and tissues to slide and glide as you move. However, when your fascia gets tight or stuck, it can restrict your movement and have an impact on the depth of your breath. In this workshop, we'll focus on the diaphragm, the dome-shaped muscle that is the prime mover of the breath and the foundation of healthy breathing. You will learn how the diaphragm relies on the mobility of the spine, pelvis, and their associated muscles. You'll experience how poor spinal mobility, a tense pelvic floor, unstable foundation and misalignment in the body all affect the depth of the breath. By using a variety of balls, massage peanuts, and yoga props and poses, you will release tension, create space, and improve your body’s alignment. You will learn how to use your feet and legs to create a strong foundation for the breath. All of this will support a deeper breath and help you to feel better in your body. No previous yoga experience needed. Everyone welcome! Tricia is a graduate of Willow Street and Body Balance Yoga teacher training program (E-RYT 200, RYT 500) and is a certified Yoga Therapist (C-IAYT). Tricia's classes focus on dissolving tension in the body, creating optimal alignment, and connecting with the breath. She clearly articulates alignment instructions based on her knowledge of anatomy and exploration in her own practice. Tricia is so grateful to be able to share the many benefits of yoga with her students. The psoas is one of the largest muscles in the body and the only one that connects the upper body to the lower body. The psoas affects every aspect of your life from your structural and back health to emotional well-being. Learn the relationship between this deeply embedded muscle and your emotions, the nervous system and the musculoskeletal system. Learn how the psoas affects the rest of your body from the way you stand, walk, and sit. Rebecca Morton is the founder of The Compassionate Yogi, which specializes in yoga for chronic pain, back pain, and post-physical therapy as well as leads yoga for those recovering post-surgery, organ transplant, ataxia and other physical situations that hinder movement. Yin Yoga's quiet practice has been Machelle's passion for 15 years. In 2004, after having already taught for a decade prior on how the yoga asana practice can be used as a form of self-acupressure/acu-tension to stimulate meridian systems in the body, Machelle sought out to study extensively with Paul Grilley who developed and named this unique approach "Yin Yoga." Yin Yoga utilizes muscularly relaxed poses on the floor that are held for longer periods of time (3-5+ minutes typically) in order to safely and systematically stimulate chemical re-generative responses in tissues, particularly of fascia, ligaments and within joint capsules. Through modest traction and compression, one trains the structural tissues to reduce the process of contracture that shortens tissues and can cause degeneration, adhesions, pain, and decreased range of motion. Yin Yoga's methodical and subtle approach provides lubrication, mobility, and a sense of lightness to the body's structure and energetics and thus to the mind. This training/personal enrichment program is a valuable, in-depth exploration for those who wish to deepen their understanding of the Yin Yoga practice for their own self-care and for teachers wishing to incorporate Yin Yoga wisely and safely into their class offerings. Registered yoga teachers with Yoga Alliance can earn 30 hours of continuing credit hours. History of Yin Yoga and its influence from Chinese Taoism and traditional Chinese medicine, the Hatha Yoga Pradipika, and the lineage of modern teachers who informed and mentored Paul Grilley and his development of the therapeutic approach he named "Yin Yoga". Approaches to modify, adjust and prop Yin Yoga postures in order to safely create practices for each individual to stimulate desired joint tissue or energy lines. This training is perfect for those wanting to deepen their personal practice or yoga teachers looking for CEUs. This training is eligible for 12 hours of continuing education credits with Yoga Alliance. There are also opportunities to join Tara's apprenticing program. Fascia is connective tissue that supports the structure of your body. When it’s healthy, fascia allows your muscles and tissues to slide and glide as you move. However, when your fascia gets tight or stuck, it can restrict your movement. Restricted movement can also be the result of holding tension in your body due to the habitual ways that we sit, stand, and move around in the world. Restricted movement and tension in the quadriceps, hips, and hamstrings have an impact on your low back, your knees, and your ability to stand or move with ease. In this workshop, you will learn how to release the layers of fascia, decrease tension, and create space in your hips, low back, quads and hamstrings using a variety of balls, massage peanuts, yoga props, and yoga poses. The goal of this workshop is to release fascial “stuckness”, decrease tension, and increase mindful movement in the legs and hips for a happier, healthier body. Do you carry tension in your shoulders? Do you have neck pain? If so, you are not alone. Tight shoulders and neck pain are common symptoms of modern living. The culprits for your pain could be every day activities, such as sitting hunched in front of your computer screen, constant focus on your mobile device, or driving. In addition, maybe you have a rotator cuff injury, shoulder arthritis, disc disease, or have suffered whiplash. Regardless of the cause, help is on the way! In this workshop, we will review the anatomy of the neck, upper back, and shoulders. A variety of balls, massage peanuts, and other props will be used to release tension and create space in the body. You will learn how to support your neck and shoulders by using your feet and legs. In addition, specific techniques and movement exercises will be shared that release tightness and tension in the shoulders and neck. Once this tightness and tension is released, your upper body will start to remember how it was designed to align and move. All levels are welcome. No previous yoga experience is required. Sound Medicine works with the energy of vibration to create shifts in the body and mind. Sound healing embraces the idea that when vibration shifts, healing and integration can occur, and states of deep peace and rejuvenation result. In this gently guided session, Angela will lead participants into a comfortable and receptive state to support deep relaxation. Using a lush array of sounds, including voice, toning, and mantra, as well as frame drum, guitar, harmonium, rattles, guitar, flutes from around the world, singing bowls, sounds of nature, and the gong, participants will be bathed in healing sounds and music designed to bring balance to the chakras and to their lives. Born in the gentle mountains of Appalachia, Angela Blueskies is a visionary musician, medicine woman, and facilitator who carries deep understanding of the healing powers of music and the Earth. For over 25 years, she has followed the call of the heart in the path of conscious awakening, a path that has taken her around the world and shaped every facet of her life and work. In the past decade, Angela has devoted her path to supporting others in the journey of healing and transformation and creating spaces and experiences that allow for deep connection to self and Spirit. 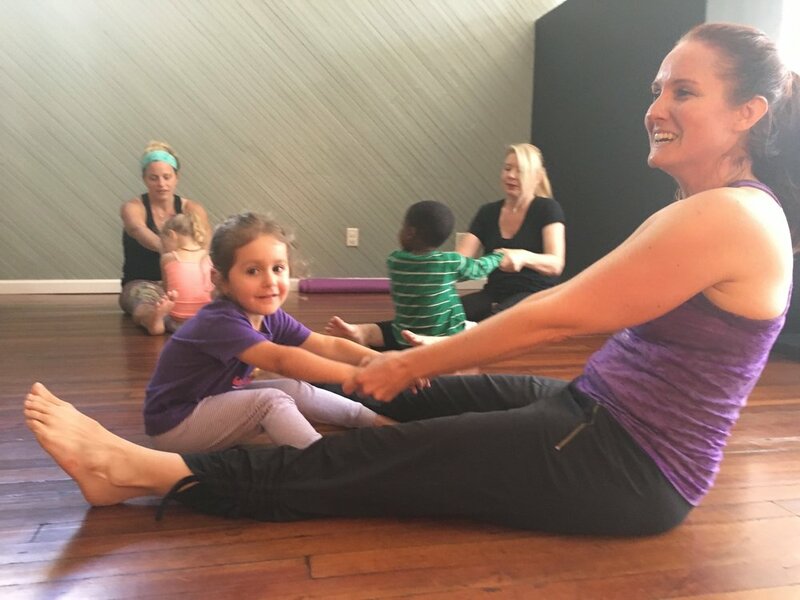 Yoga for kids is a fantastic way for kids to learn at an early age how to connect with thoughts and feelings while building strong, confident bodies. This series provides an opportunity for children to explore the basics of breath (pranayama) and postures (asana) through song, games, and movement while forging bonds in their community. Yoga is not about how flexible one is but rather how present and plugged into life one is. Yoga for kids cultivates a sense of self-care, respect, and trust and offers children skills that ripple out into their every day life. March 8th - April 19th - Special rate of seven (7) classes for the price of six (6). Pre-registration is required. To ensure the best experience for the kids, the minimum enrollment to run the series is 6 children and the maximum number is 10. Drop-ins may be allowed if space permits. Come play with us and learn yoga through song, movement, poses, and imagination. In this special parent and child practice geared toward strong walkers to 5 years old, explore ways that breath and movement can be used to cultivate confidence and a state of inner ease in your child. The benefits to children who practice yoga are numerous and long lasting! Yoga is not only great exercise but also lays down an early foundation of how to regulate emotions, manage stress, and self-soothe. Little Om Yoga encourages confidence and boosts self-esteem, all while engaging the imagination. Most importantly, yoga encourages children to view themselves and others with kindness and compassion. Cost: $75 for one child and $112.50 for two siblings (second child is half-off the session). Seven (7) Classes for the Price of Six (6) - We know that life is busy and sometimes kids are sick or sleepy so we built in a missed day in the series. Come for all 7 weeks if you can or know that you can miss a week if needed, carefree. This 12 Hour workshop is Yoga Alliance approved for CEU’s and all students will receive a certificate of completion. for materials that acknowledged the specific needs of the female prisoner, Kath wrote A Woman’s Practice: Healing from the Heart, an accessible yoga guide available for free to incarcerated people nationwide. In addition, Kath is a contributing editor to Best Practices for Yoga in the Criminal Justice System and her work has been recognized by Yoga Journal, who named her Good Karma Award winner in 2015 and 2016. Rich in personal history, our central core can be a goldmine for both power and intuition. In this workshop for yoga teachers, yoga therapists, and dedicated students, our focus is stability with fluidity – we go deep into intrinsic core muscles while maintaining true sacral alignment. This is key to all health: digestive, respiratory, musculoskeletal, emotional. Learn ancient and new pelvic floor and abdominal strengtheners balanced with healing, restorative poses. Experience therapeutics for psoas and diaphragm release, and mudra to seal our knowledge. immerse in wise exploration, with renewed health, creative-being, and a balanced core as the goals. Advanced beginner to experienced yogis will enjoy this thoughtful, effective, but not arduous, workshop. One email follow-up with the instructor is offered for guidance on integrating material. DIANA TOKAJI, C-IAYT, E-RYT500, PRYT, M.Sc. is a writer and performer since 1974 (San Francisco, London, D.C.) and the author of two forthcoming books. Diana’s most profound training came from decades of solo exploration toward the successful healing of her own disabilities. Her foray was aided by master teachers from the traditions of Siddha Yoga, Integral Yoga, Iyengar Yoga, Anusara, and multiple movement styles. A twice-certified yoga therapist, Diana is a Phoenix Rising Yoga Therapist in practice since 1997, and a graduate of the nation's first Master of Science in Yoga Therapy program at Maryland University of Integrative Health in 2015. She has taught yoga for 35 years (E-RYT500 with Yoga Alliance), is a certified teacher of Pilates Mat, a certified trainer of Restorative Yoga with Judith Lasater, a member of the International Association of Yoga Therapists, and has ten years of peer counseling experience. Dr. Sam Francis, owner and chief practitioner of Five Dances Wellness Center, teaches this empowering seminar that is for anyone who wants to learn natural, inexpensive self-care strategies to reduce or even eliminate pain in the neck, back, shoulder, and other major joints. Learn a secret hydration strategy that gives your body what it needs to cool and clear inflammation without making you feel like a camel, or having to “go” all the time. Discover a simple movement that can be done seated or even lying down that will promote circulation and three different ways to modify the movement for your unique body. Learn how to determine what type of pain you have and which topical treatment will work best for you. PLUS: Learn how to use just five minutes before sleep to maximize your body’s ability to clear inflammation on its own. Dr. Sam has helped hundreds of people reduce or even eliminate their joint pain using these same simple secrets that are easy to implement and won’t break the bank! Dr. Sam will walk you through how to do stellar self-care ON YOUR OWN. Follow this external link to Event bright to reserve your space. This workshop is canceled due to the weather and predicted level of snow fall - Please check our April 28th Spring offering! Roots & River owner/instructor, Machelle Lee, who specializes in Yin Yoga, and acupuncturist Samantha Francis of Five Dances Wellness blend their expertise to offer an afternoon of tending the body and psyche as we transition into the spring season. 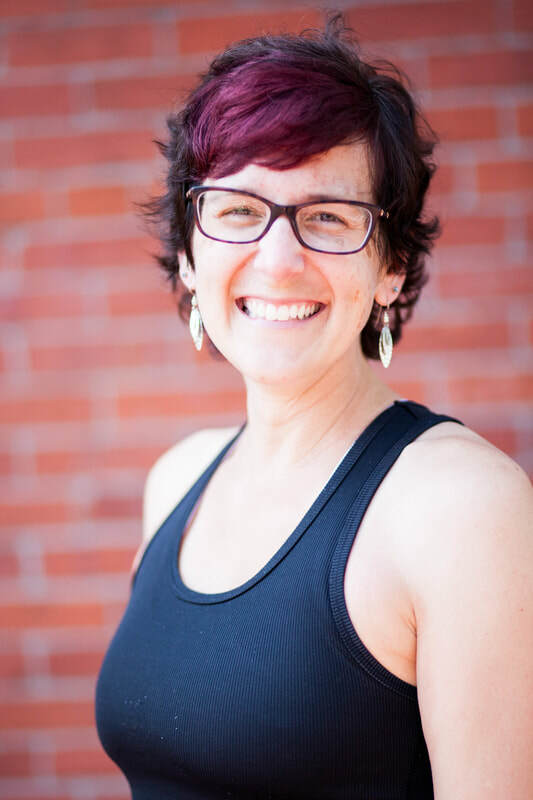 Informed by the Five-Element perspective, Machelle will lead participants through a full Yin Yoga session stimulating energetic lines within connective tissues that support the Kidneys and Urinary Bladder organs and meridians. Following the Yin Yoga practice, Samantha will provide a meditative acupuncture session in key ear points, balancing the subtle currents within while participants settle into a deep rest. Throughout this workshop, Samantha and Machelle will present the physical functions of the Kidneys and Urinary Bladder as well as explore the psychological gifts and inner archetypes associated with the element of water and the role they play in the rest and replenishing during the season of winter. Astrology is a lens through which we can powerfully explore the nature and character of our psyche as well as the dynamics of our lives. It is a system practiced throughout ancient civilizations. A personal Astrological Natal Chart Interpretation provides comprehensive insight into the circumstances, dynamics and patterns in your life from the perspective of the fundamental aspects of your character, life lessons, and dominant themes. It covers current transits that can help provide insight into the energies, questions, and patterns you are grappling with at the present time. Sessions with Jessica are a deep experience of self-care as they support compassionate self-awareness. Jessica begins with a clearing meditation through the chakras informed by your chart and proceed with the interpretation as outlined on her Astral Insight Page. Cost: $150 and includes centering/clearing ritual, astrological chart, 60-90 minute interpretation, and recording of reading. To register, select the button with the date and time of desired appointment. The software system will only allow one person to sign up for each appointment and I will remove the registration links once each spot is reserved. This event is canceled due to low registration - we will look to another date in 2019 to offer it again. Do you sense deep down that it is time to holistically attend to your body, mind, emotions, and energy, but are not sure how to work that into your life in an integrated and sustained way? Do you push your feelings and sense that something needs to change in order to get through the daily demands of your life? If so, take this opportunity for a sacred pause to turn within. This workshop offers is an introduction to the Evolving Mindfully approach to transformation that is based in embodying our inherent empowerment through self-awareness, self-love, and self-mastery. When we are empowered we neither judge nor blame. Rather, we take responsibility to heal, learn, and reclaim our potency to manifest the beauty, pleasure, joy, love, and intimacy that we sense is possible. Jessica Lusty specializes in holistic mindful approaches to personal evolution. 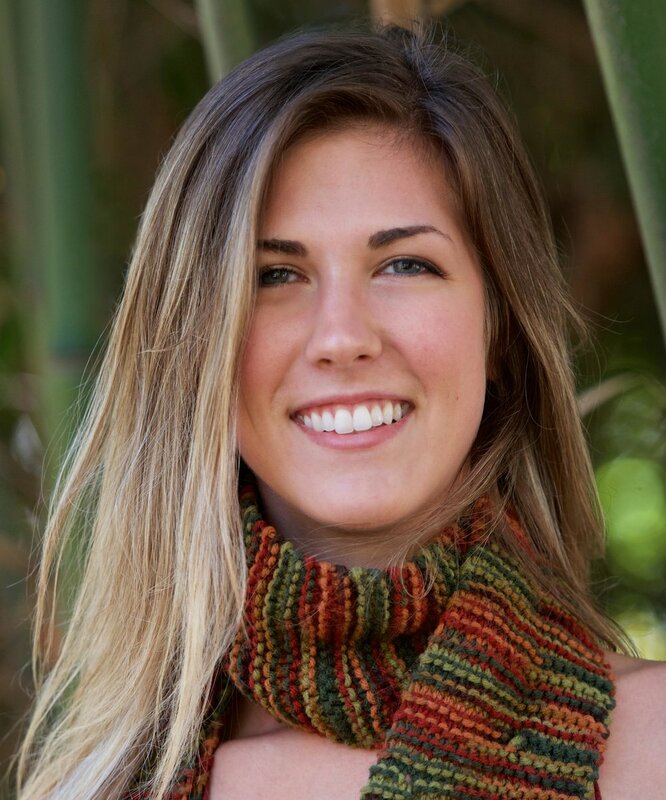 As the founder of Evolving Mindfully based in Washington, DC, she teaches classes and workshops, offers personal processes, and creates journeys for awakening, empowerment, and transformation. Jessica is an integrative guide devoted to supporting individuals living complicated, busy lives to cultivate conscious lifestyles to align with their souls' intentions. As an instructor of the Eightfold Path of Yoga with advanced training in Yoga Psychology, JourneyDance guide, Certified Astrologer and Priestess, Jessica merges wisdom traditions with modern strategies to support Transformative Empowerment. While the holidays can be a time of joy and togetherness, it is easy to become overextended, over-committed, and overwhelmed by the pressures and demands on our patience, energy, time, and resources. As a result, we often sacrifice our own well-being, finding ourselves depleted, frazzled, and out of balance. This year, give yourself the gift of nourishing self-care by engaging in a deeply restorative yoga practice focused around reconnecting with your inner calm and balance, replenishing depleted energy, and cultivating real lasting peace and joy. This special workshop will begin with gentle movement and stretching before moving into long-held supported postures that allow the body to naturally release and let go of deeply held tension and stress, which helps to replenish the nervous system, regulate the body's natural functions, and renew a sense of peace and groundedness to your entire being. Both experienced and inexperienced yogis of all ages will benefit from the inner quietude and deep release of this grounding and calming practice. Please plan to dress in layers, including bringing warm socks, as the body’s temperature drops as it relaxes. Danica is a trauma-informed yoga teacher who approaches her instruction with compassion and lovingkindness, fostering a nurturing, non-judgmental environment of openness and acceptance in all of her classes. Experienced in the teaching of meditation, vinyasa (flow) yoga, gentle yoga, yin yoga, restorative yoga, and open-to-all yoga, she most enjoys teaching gentle, calming styles yoga for healing and stress-relief, with special emphasis on the breath, mudra, and diverse meditative practices. Yin Yoga utilizes floor poses held for 3-5 minutes each in order to modestly and methodically, stimulate subtle joint tissue and fascia. This extended practice will explore Yin Yoga's simple repertoire of poses that support of the joints and fascia of the low back, spine, hips, sacrum, knees and ankles. Guided meditations, gentle breath awareness techniques and long quiet pauses will nourish the nervous system and naturally draw the mind inward into a calm, relaxed, and restorative state. No previous yoga or meditation expereince needed. Essentrics is a fluid, dynamic technique that is physically stimulating and emotionally healing at the same time. Be moved by the beat of world music in this meaningful, interactive workshop where women connect their bodies to their feelings. Discovering more about the source of aches and pains and resulting behaviors, we release by journaling in between dancing and talking. Essentrics is based on eccentric strengthening which stretches the muscles then strengthens them in the elongated position creating a lean toned body that is more flexible and agile while also placing attention to psychological support and fostering self-love. Cordelia Gaffar is a published author, speaker, certified in sports nutritionist, a former corporate accountant and mom of six children. She helps women to heal themselves by incorporating a system of self-nurturing and self-nourishing with wholesome food, energizing movements and reframing perspectives with sweet internal talk in order to transform health conditions and detox body, mind and psyche. Cordelia is the host of the Replenish Me show on the Progressive Radio Network and featured on the Sunday morning show on Radio 786 in Cape Town, South Africa about "Tips to Get Fit at your Own Pace." Cordelia has was an celebrated guest at the WomanSpeak International Festival in Sedona, AZ in 2018. After the birth of her second child, she sought medical attention for postpartum depression and extreme weight gain which led to her studies in nutrition, exercise, and mindset. In less than a year, she lost over 60 pounds and regained clarity and joy. With that transformation, it became her mission to hone that superpower and help women to do the same. Often students who could benefit from yoga the most avoid classes because of the risk of falling, having trouble getting up off the floor, or not being “fit enough” to take a public class. Likewise, teachers are often unprepared to spontaneously modify poses or offer substitutions when students with unique mobility needs come into class. This workshop is designed for yoga teachers and those wanting to enhance their knowledge of creating meaningful and truly accessible yoga practices. Join us to discuss ways to safely instruct students who are affected by injuries, chronic conditions or aging as we explore props, sequencing, verbal cues, and ways to provide pre- and post-class support. As more teachers master these skills, the more teachers and studios alike will be able to safely welcome students of ALL levels to all of their classes. Linda Pruce, a 200-RYT certified yoga teacher was diagnosed with Multiple Sclerosis during her YTT training. Having modified her own practice and teaching style and after hearing from yogis with chronic conditions she wants to help studios adjust how they instruct students of all abilities. Riding requires a lot of strength and athletic ability. Regular sessions outside of the tack, tending to the human athletes, translates to better overall connection and communication with the horse. This class is focused on strengthening the core, stretching the inner thighs, building strength to the the hip abductors and working through tightness/weakness in the upper back, chest and shoulders - all which can lead to instability or even pain. Whether you are a equestrian or are interested in working these specific areas of the body, all are welcome. Laura Crump Anderson is a life long rider whose passion for horses has lead her to career outside of the saddle. From an early age Laura noticed importance of rider fitness and realized that treating oneself like an athlete and an essential piece of success in the tack. While yoga is known for its stress reduction techniques and practices that improve strength, flexibility and balance, a typical yoga class that includes getting up and down from the floor can be inaccessible for many people. Learning to integrate a chair into one's practice provides empowerment for those recovering from injury, managing chronic conditions like arthritis, herniated/degenerative discs, joint pain/replacements, compromised auto-immune systems or those refortifying a body that is aging. Join Linda Pruce who learned first hand to navigate yoga classes and enriched her practice with the use of the chair and other props after being diagnosed with multiple sclerosis (MS). In this workshop, you will learn how to safely modify yoga poses and use a variety of props when taking public classes. Experience the benefits of yoga in your life and be inspired to add yoga to your wellness and therapeutic regimen. If you would like to propose a workshop, please drop us a note with your ideas.